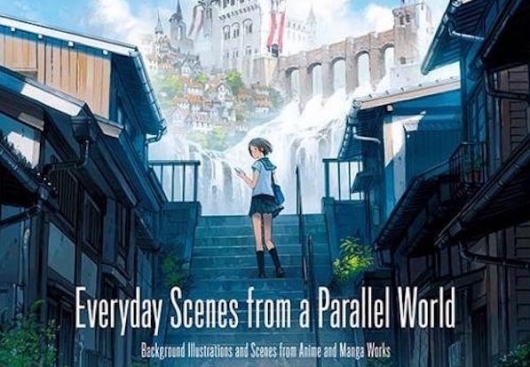 Everyday Scenes from a Parallel World: Background Illustrations and Scenes from Anime and Manga Works from PIE International is a collection of art that displays ordinary life in extraordinary beauty. Works from 39 artists capture the eye and heart. It is no wonder that manga and anime are so popular all over the world. 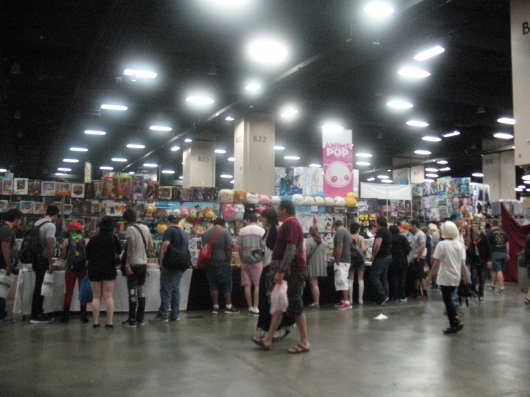 As I reported last year, I’m a bit of a strange duck when it comes to anime conventions. I’ve never been into the panels or cosplay competitions, although I have a lot of respect for the people who put so much time and effort into their outfits, and in traveling the convention circuit. I especially had respect for the cosplayers and guests who were in San Antonio, braving the 99° late July and early August heat at San Japan: 8-bit, at the Henry B. Gonzales Convention Center. I’m always looking for two things at an anime convention: The overall feel of the con, and of course, the opportunity to sit back in a room with a bunch of fellow otaku and soak up some anime. I’m happy to say that this con didn’t disappoint. Produced by: PONY CANYON Inc.
Educational. Informative. Funny as hell. What? Yes, you read that correctly. Educational television was never like this. 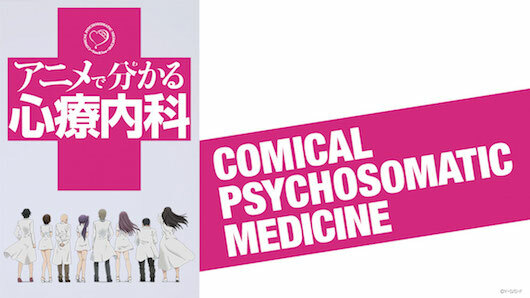 Comical Psychosomatic Medicine, or Anime de Wakaru Shinryonaika, is a joyous romp through the world of mental disorders, from erectile dysfunction and voyeurism to panic attacks and anxiety disorder. At the Yuu Mental Clinic, psychologist Ryou Shinnai and staff nurse Asuna Kangoshi tackle a variety of mental disorders. Asuna generally plays comic foil to Dr. Shinnai’s attempts to explain the various maladies, and of course, things get out of hand with puns on terms such as “cognitive impairment” (Asuna pictures her grandfather surrounded by girls trying to get him to admit he’s the father of their children) and “rem sleep” (Asuna imagines “harem sleep” with her granddad dreaming about being surrounded by a harem of girls). When: Saturday, June 14th, 4:00 p.m. – 8:00 p.m. It was a hot humid San Antonio day outside, but it was a different matter in the air-conditioned confines of the Wonderland of the Americas Mall in San Antonio, TX this weekend. 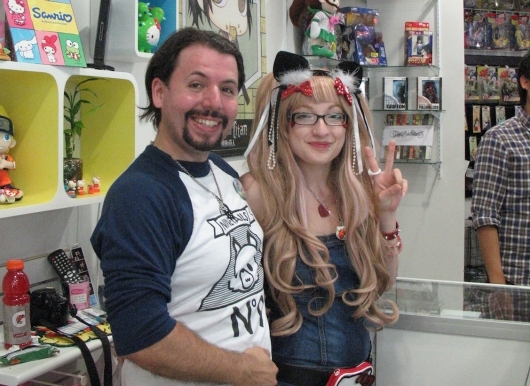 Nine-Tails, a unique anime and J-Pop culture shop set up in 2010 by co-owners Justin and Nati, in conjunction with San Japan, a local fan-run organization, held a “mini-mini con” for fans of anime, manga, and cosplay to come out, show their support for the upcoming San Japan: Samurai 7 anime convention, and pre-register for the main event coming in July at the HBG Convention Center in downtown San Antonio. Voice cast: Chika Anzai, Junji Majima, Yuko Hara, Chiwa Saito, Iori Nomizu, Kazutomi Yamamoto, Kenzuka Satou, Saeko Zogo, Shuta Morishima, Yoshimasa Hosoya, Yumeha Koda, Takaya Hashi, Yui Makino. Let’s say your father died a violent death and his killers had scattered his body parts all over the world, and you were on a quest to gather his remains together in order to give him a proper funeral. Now, let’s say you don’t remember much of what happened up until your father’s death, but everyone is saying he was an evil magical emperor who was utterly defeated in a world war, and a corps of warriors is chasing you, bent on preventing his remains from being gathered together again. One more complication: Let’s just say you’re not the only offspring of the late emperor with the same aim in mind. It seems that everyone in the world is against you, except for two saboteurs and a dragon that hides in the guises of a little girl and a cat. 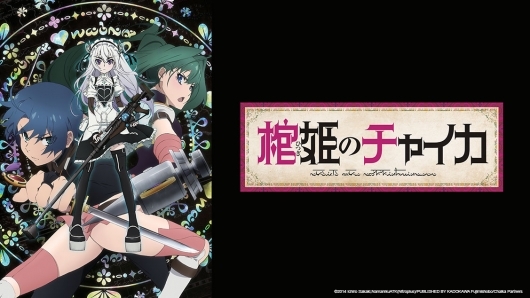 That’s the set up for Chaika: The Coffin Princess, now currently streaming on Crunchyroll. 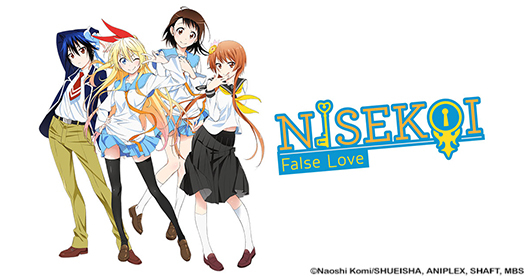 Okay, two confessions: First, and if you’ve read my reviews before, you probably already know this, but, I’m an unabashed anime fan. Second, and this may not be as apparent to you as a reader, but I’m also a history freak. It almost doesn’t matter what kind of history it is, as long as it deals honestly with the subject matter and I come away with new knowledge and insights that I didn’t have on the subject before, I’m in. So, being both a fan of anime and history, that means that any book that deals in the history of anime is going to catch my attention; but having been a fan of anime for nearly twenty-two years, that also means that I have high standards for what that book has to say about the matter. 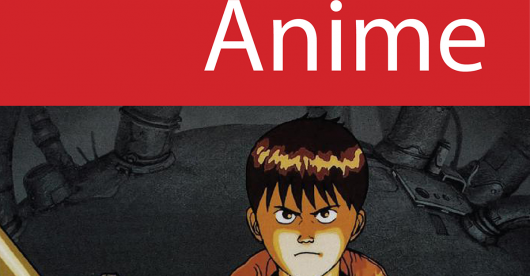 That’s why I’m so excited about this new book, Anime, co-written by authors Colin Odell and Michelle Le Blanc. It’s a short read – only about 148 pages in all – but it has the distinction of being a history book that is both entertaining to read and also highly informative. Ever wonder what the very first OVA was? A hint for beginners: It wasn’t Tenchi Muyou. This book will tell you. When was Studio Madhouse first started, and what name did Gainax go by before they called themselves Gainax? Read and find out. 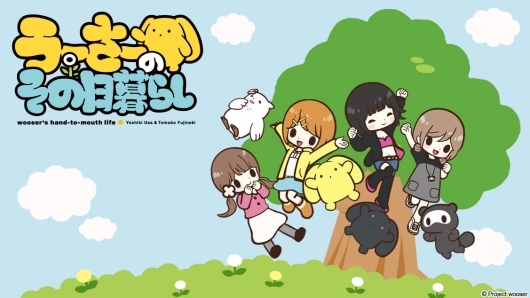 You have to have a love of the truly absurd to appreciate Wooser’s Hand-to-Mouth Life. If you haven’t the stomach for non-sequitur humor, rapid-fire stream-of-consciousness storytelling, or tongue-in-cheek references to all sorts of anime and cultural memes, you’ll be lost in the first three-to-four-minute episode, and you won’t have enough breadcrumbs to get home. So you’ve been warned. Leave while you can. Still there? Then read on. Wooser is a cute animal thing with button eyes, a button nose and big floppy ears who is known for such rhetorical gems as “There’s nothing as good as food someone else is paying for,” and ”my favorite things are meat, money, and girls.” He’s stuck on the couch, is a lout, a pervert, a ne’er-do-well, and yet, he somehow enjoys the constant company of four cute girls along with a darker version of himself known as Darth Wooser, a raccoon, and some birdlike creature that has no name, but is often spotted in Wooser’s company. Weird enough for you, yet? 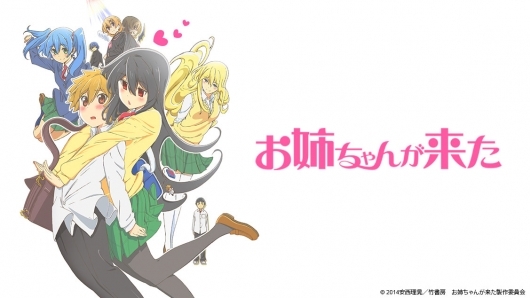 Air dates: Streaming live on Crunchyroll, Thursdays at 2:30 p.m. CST. Boy, who hasn’t wanted to just run away from one’s problems at one time or another? To be able to, as it were, just escape somewhere, anywhere, as long as it wasn’t here, can at times be a seductive daydream. 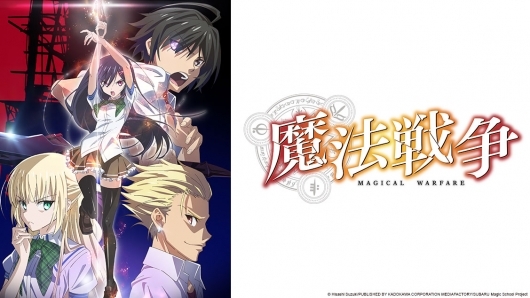 However, there is a dark side to this fantasy; sometimes, you may not know what you’re wishing for, and that’s what the new anime series Magical Warfare tries to convey in a tale rife with magic, battle, and unintended consequences.